Just finished reading “Love Janis”.. Highly recommended for any fellow Janis Joplin fan! Lots of great photos included in this biography! 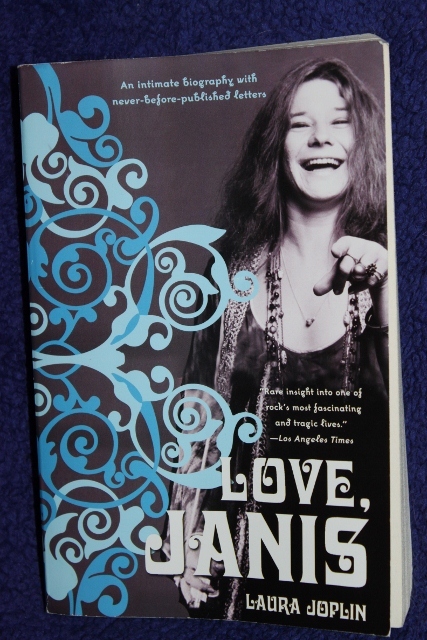 Within this biography there are many letters written from Janis Joplin to her family… When Janis did her initial run to San Francisco in the mid sixties she developed a speed addiction. At one point she weighed a little more than 80 pounds and wore long sleeve shirts to cover all of her track marks. Because of her near certain death following this lifestyle, she moved back home to Texas and got herself clean and sober. She actually managed to stay this way for a year. Then she got called from some music personnel in San Francisco asking her to move back to be a singer.. She moved back and started up with Big Brother and the Holding Company. She stayed away from LSD, heroin, cocaine and other popular drugs for the most part (still socially but not dependent….. if that is even possible).. but took on the more socially acceptable drug of alcohol in its place. 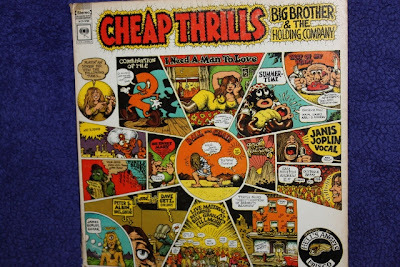 Once Big Brother was signed to Columbia records they released probably their most well known album “Cheap Thrills”, this seems to be the turning point in Janis’ life and career. This album was very successful and put the band at an entire new level of success.. They went to New York and started doing some shows. 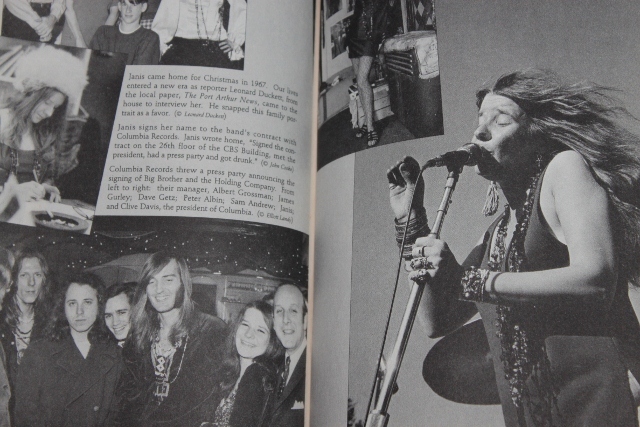 Seemed to be at this point where fame started going to Janis’ head. 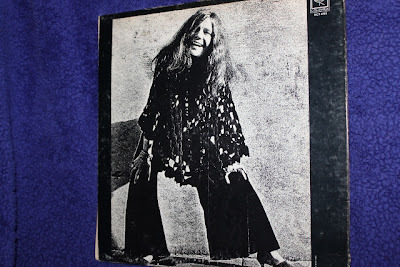 She decided (or was talked into) to leave Big Brother and the Holding company to go solo. This, in my opinion, seemed to be a bad move on her part. She started having to manage her own musicians whereas in Big Brother they were all equal and voted on all their decisions. One of my favorite album covers! 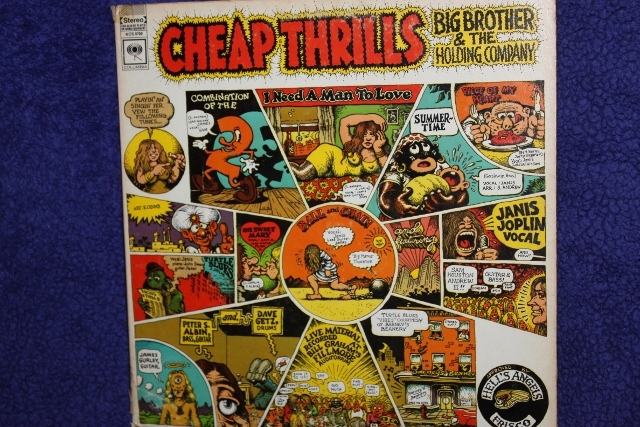 Back of the Cheap Thrills lp! Being the leader put a lot more weight on her shoulders. This is when she started to get into drugs a little more seriously. She was taking heroin after her shows to help her come down from the adrenaline rush of playing live. She kicked the habit numerous times but always went back to it. I have read a lot of other books regarding addiction and she definitely wasn’t the biggest junkie of the sixties by any means but any heroin habit has proved to put a negative impact on the music I love so much. 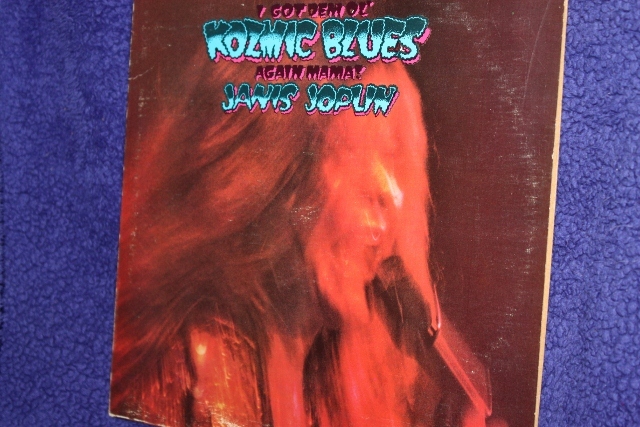 This was recorded with the band (Kozmic Blues Band) Janis started when she left Big Brother. She felt her bandmates were to perfect of musicians for her. Long story short, she took some heroin one night after recording and overdosed. She didn’t take any more than any other night, it was just a very strong batch of heroin. According to the book she always went to the same drug dealer who she trusted. This dealer had a chemist who would test the strength of the heroin before he sold it. The chemist was away and he sold some untested product that turned out to be four to ten times stronger than the average. Several other of the drug dealers' customers died the same weekend. Very sad ending to a young girls life. She seemed like a very caring person. 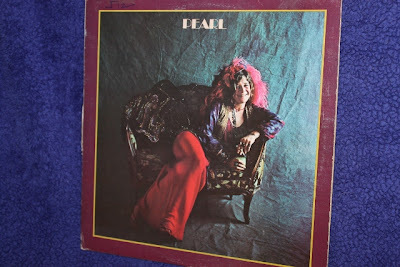 Always keeping in touch with her family no matter how much they disapproved of her lifestyle.. She made it big in a rock and roll period which was mostly dominated by males. 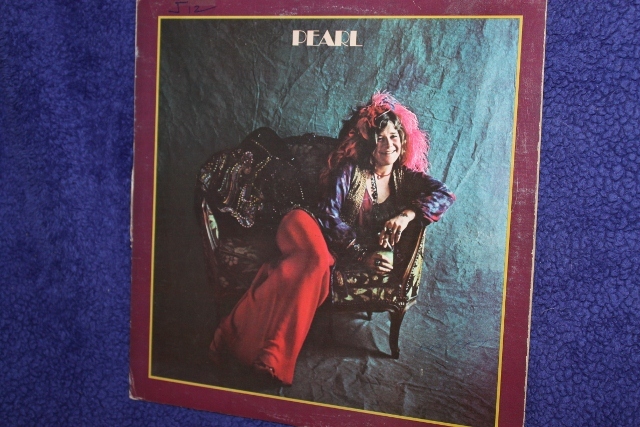 And anyone who has heard her voice will never question why..
Janis was recording this album at the time of her death. This was with her third band which she was very happy with called Full Tilt Boogie Band. 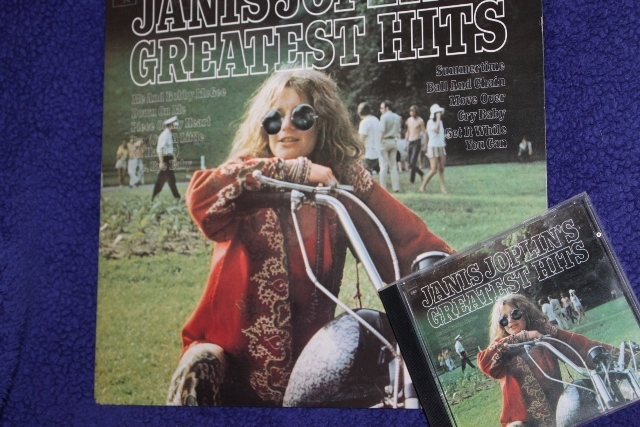 Janis Joplin - Greatest Hits. 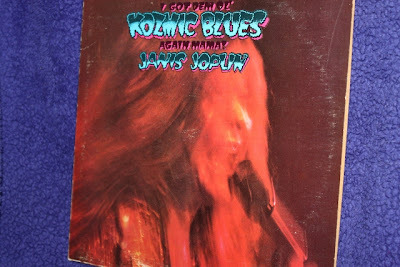 A must have in any vinyl collection! I really enjoyed this read. I always find it a little slow at the beginning stages of biographies.. stories of when they were kids and their family histories.. I know for most people this would be just as interesting but I seem to have a low attention span until they start talking about recording the records that I love so much.. But that’s just me. If you pick it up and give this book a try I would love to hear your comments!